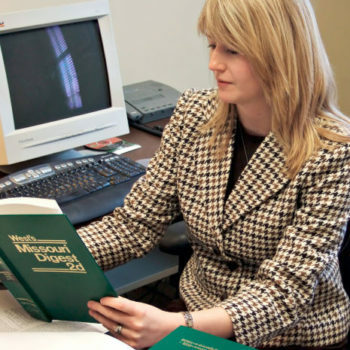 Accurate legal deposition interpreting services play an important role in litigation involving witnesses who are fluent in languages other than English. Here is a true story. An asylum-seeker before an Immigration Judge is testifying as to why he believes that he will be persecuted for his political opinions if he is sent back to his home country. The asylum-seeker has a good grasp of English, yet the Immigration Court is utilizing the services of an interpreter to make sure that the asylum-seeker’s narrative is accurately told. As the asylum-seeker is testifying in his native language, he begins to pay attention to the court-appointed interpreter. Several times, he pauses at the interpreter’s translation of his testimony, but he continues on. Eventually, however, the asylum-seeker puts a complete halt to his testimony. He has to correct the record. He is becoming more and more aware that the interpreter is mistranslating his testimony! The interpreter was not mistranslating out of malice, but more because he is not as competent as he should be. And given the stakes of the proceeding – the asylum-seeker’s safety, and ultimately, his life – it is an injustice to allow mistranslations to make it into the record. The asylum-seeker’s attorney may or may not have caught the mistranslation, but it is a blessing that the asylum-seeker knew enough English to make sure the correct story was told. Many witnesses, in immigration, civil, family, or criminal court may not be so lucky. A witness who does not know English will not be able to make the proper corrections as the asylum-seeker in our example did. That story amplifies a larger point. When it comes to having an interpreter for your witness at a court proceeding or deposition, you want the best deposition interpreter. The court-certified interpreters at All Language Alliance, Inc. are the best when it comes to accurately translating testimony for depositions and court proceedings. Please fill out “Translate Legal Documents Now!” form so we can help you with any foreign language speaking witness at your next deposition. In the meantime, here are some tips that can help you when preparing for a deposition with a witness who does not speak English. Over 2000 languages are spoken in Africa. In addition to English, India has 22 official languages, such as Assamese, Bengali, Bodo, Dogri, Gujarati, Hindi, Kannada, Kashmiri, Konkani, Maithili, Malayalam, Manipuri, Marathi, Nepali, Odia, Punjabi, Sanskrit, Santali, Sindhi, Tamil, Telugu, Urdu. When it comes to obtaining the services of a legal interpreter fluent in Korean, Tigrinya, Somali, Arabic, Mandarin, Spanish, Russian, Amharic, Dari, Polish, Punjabi, Japanese, for your deposition in Denver, Colorado, and elsewhere, you want someone who is attuned to the various languages and dialects of a particular region. Court-certified interpreters are required to take oral and written exams to become certified. Just like you want a lawyer, rather than a lay person, to conduct a deposition; you want a qualified interpreter to translate for you at a deposition. Not all legal translators are the same, but at least with a court-certified interpreter, you have someone who meets the minimum standard of proficiency. Both types of “help” from the interpreter are not helpful at all and will result in a muddled, confusing deposition record. Thus, it is imperative that you impress upon your interpreter to translate word-for-word the deponent’s testimony, rather than paraphrase in order to “help” the translation along. Whether you are arranging for a deposition interpreter for your witness yourself, or you are relying on a legal translation service to provide an interpreter the day of the deposition, advanced notice is key – as much notice as possible. Even with the very best of interpreters who are knowledgeable about legal terminology, he or she may not be well versed in the type of legal issues or terminology that may come up. Therefore, giving your interpreter a little lead time to prepare, and to look up legal terms that are relevant, will pay great dividends in the long run. You may likely have a sense of how long a deposition might take, based on experience, or on your deposition outline. However, when it comes to a deposition with a foreign witness whose testimony needs to be translated, take the time you think it will take to finish the deposition, and then double it. That is the time it will actually take to complete the deposition. Professional interpreters will be sure to relay precisely what is being said with accuracy and without omissions. They will also do so, typically, in a similar timbre, or register of the speaker. Therefore, the questions will be spoken twice (once in English, once translated) and the answers will be spoken twice. Account for that extra time in your schedule. The legal translators and deposition interpreters at All Language Alliance, Inc. know the types of logistics, issues, and information an attorney has to juggle to successfully complete a deposition. We can take some of the stress off your shoulders by providing reliable and accurate deposition translation services for you. Contact us today to learn more how our certified interpreters can help make your interpreted deposition run smoothly. Legal Interpreter Services in Depositions Read It!